Sea World Orlando- Orlando, Florida from The Top 10 Best Aquariums in the U.S.
Aquariums give you the chance to see aquatic animals that you may have never encountered before. They offer hands on learning, interactive exhibits and incredible photo opportunities. 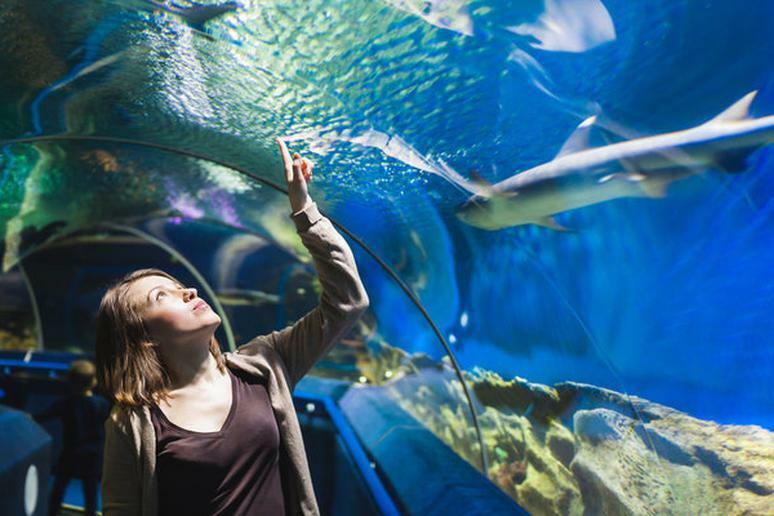 From diving with sharks to petting stingrays and viewing dolphins up close, aquariums provide excitement for everyone. 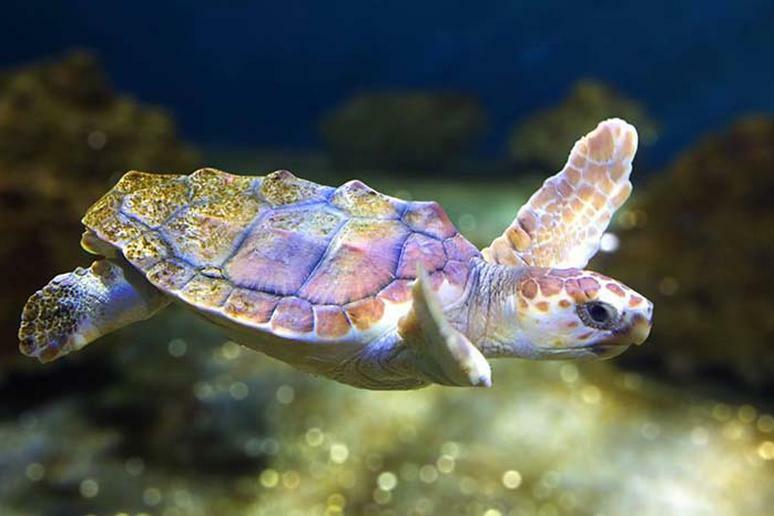 Continue reading for the top 10 best aquariums in the U.S. Explore the colorful world of the Monterey Bay Aquarium – watch daily shows, go on tours, view live webcams and check out tons of unique exhibits. 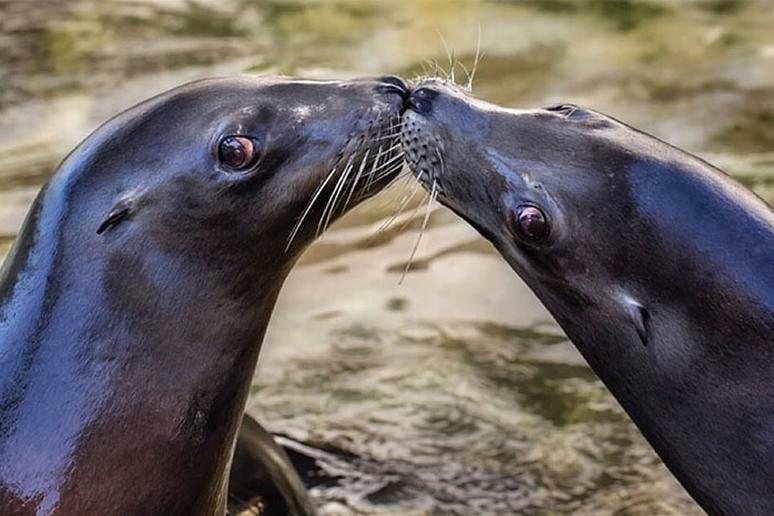 Some of their most famous exhibits include Viva Baja Life on the Edge; spot cortex rainbow wrasse, bluespotted jawfish and mountain kingsnakes and The Life on the Bay exhibit which is a view deck that offers great opportunities for wildlife spotting; humpback whales and sea otters. Also make sure you head to the Splash Zone & Penguins, it is comprised of over 45 interactive exhibits in English and Spanish. Watch famous whales, exiting shows and experience one-of-a-kind attractions at Sea World. Take the kids on the Wild Arctic Ride and the Journey to Atlantis. 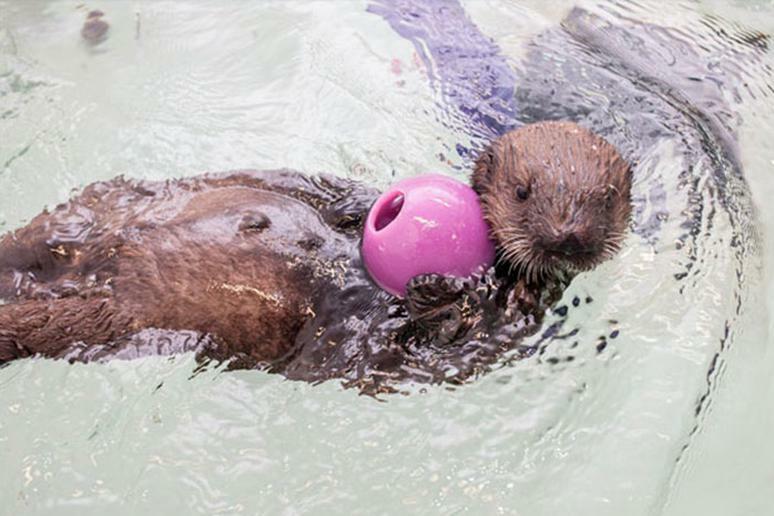 Touch sharks and view penguins on the Behind-the-Scenes Tour and view dolphins up close. Then, when you’re ready for some thrill rides, hop on the Manta, Kraken and explore the journey through Antarctica: Empire of the Penguin. 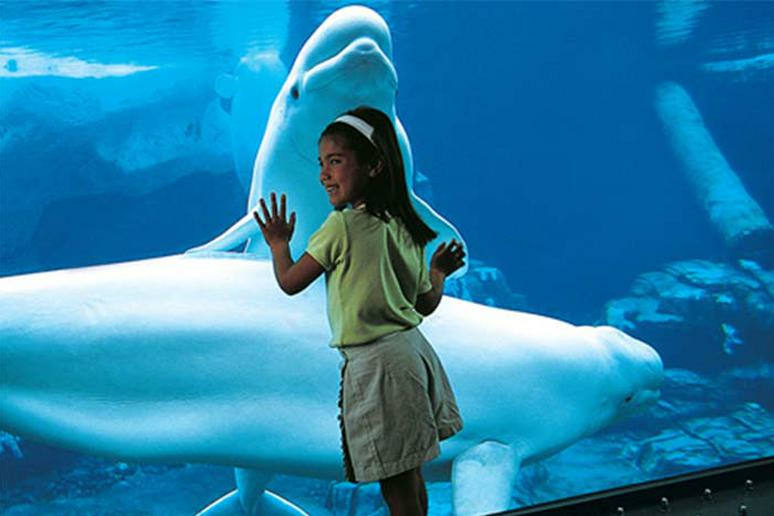 This aquarium is an indoor public aquarium with tons of activities and exhibits to explore. Check out the Caribbean Reef, the Amazon Rising, the Polar Play Zone and the Wild Reef. Also explore their Special Exhibit: Amphibians. It is comprised of over 40 species of toads, frogs, salamanders and caecilians. From frogs to parrots, fish, sharks, dolphins, crocodiles and snakes, there are over 20,000 animals at the National Aquarium. Visit the “Amazon River Forest” for an exciting exhibit that displays animals in their Amazon home. 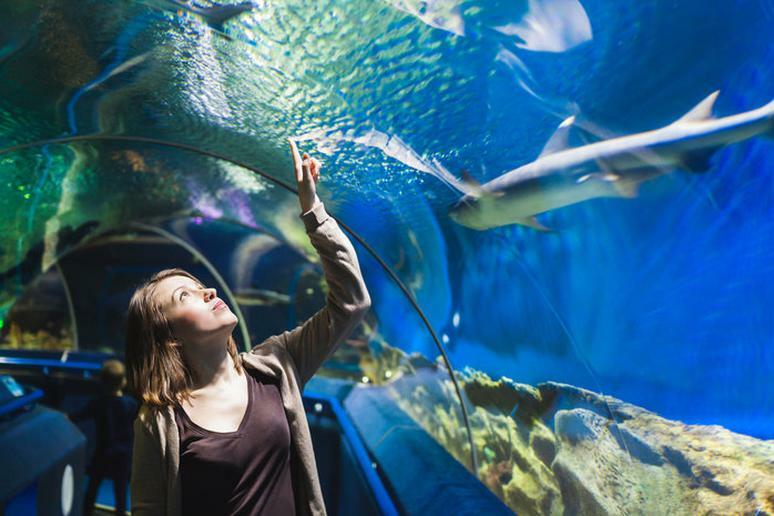 Shark Alley is also a must-see; visitors enter a ring-shaped exhibit surrounded by sharks of all sizes. If you’re looking for a nice place to relax, visit Waterfront Park. It’s a 90,000-square-foot urban park that provides an educational setting that explores the diverse ecosystems in Maryland. 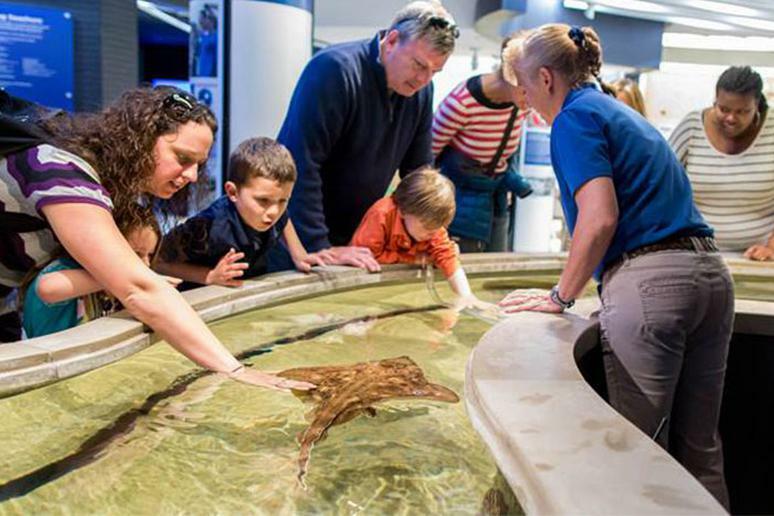 Take your kids to this aquarium for tons of interactive fun. It is comprised of 19 major habitats and 32 focused exhibits. Pet stingrays and sharks, explore the Shark Lagoon, the Lorikeet Forest and watch the incredible Turtle Vision 4D, a film that takes you through the spectacular environments, including tropical waters, the icy Antarctic and coral reefs. 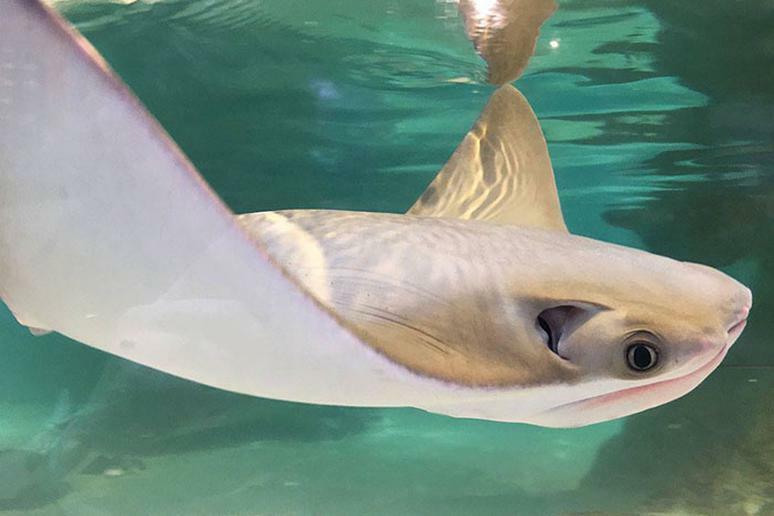 Feed stingrays, sea turtles and sharks; participate in a variety of special events at Shark Reef. 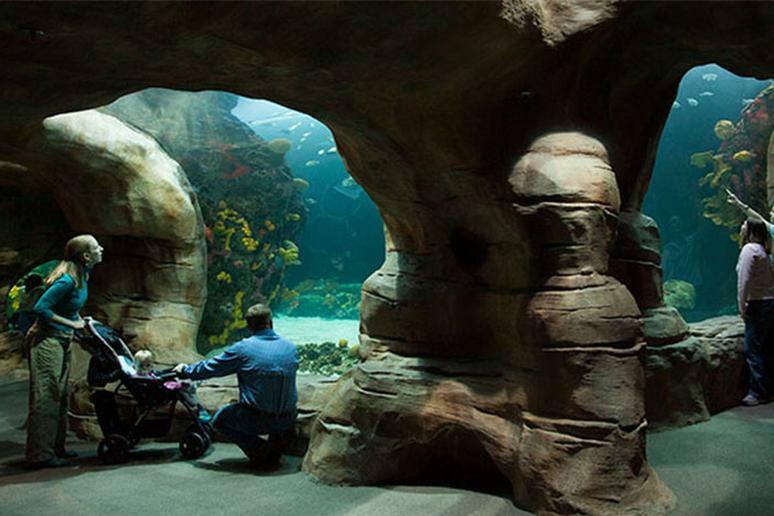 This aquarium hosts birthday parties, weddings, private rentals and guided tours. 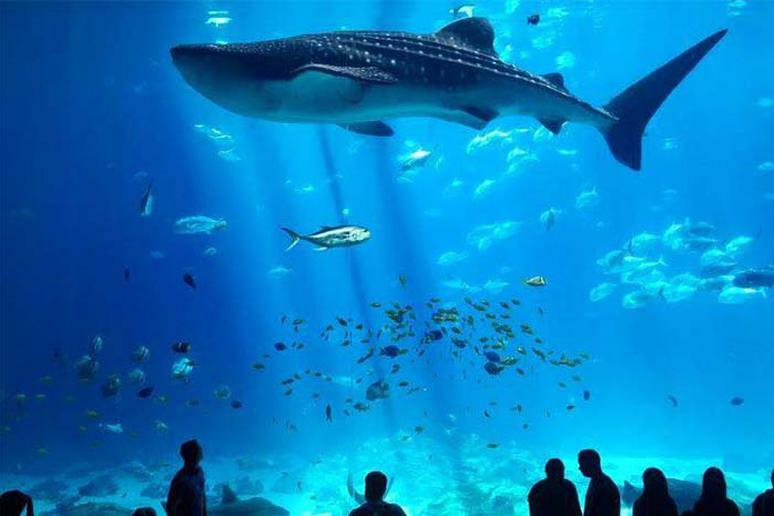 Certified divers spike your adrenaline on a dive with sharks at this exciting aquarium. Located in the heart of the Smokey Mountains is this unique aquarium. It’s home to approximately 10,000 marine animals. Explore the Penguin Playhouse - crawl through tunnels and view penguins from above and below the water. Also visit the famous Discovery Center for tons of hands on, interactive fun. 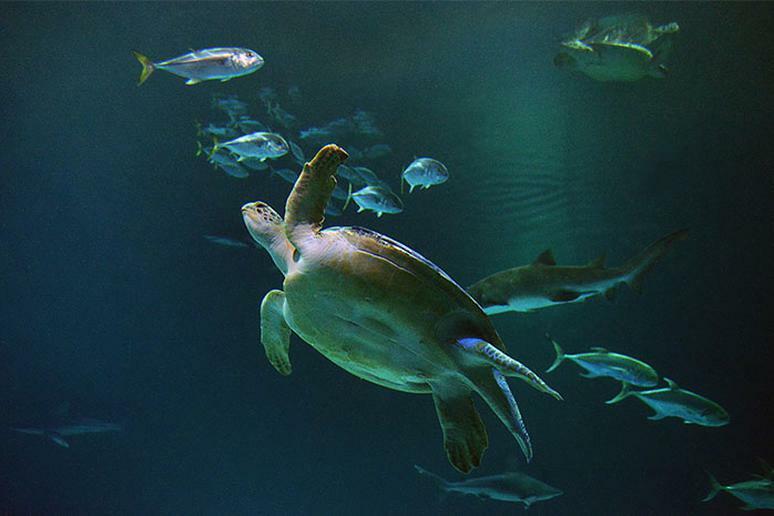 You can’t visit Boston without exploring the New England Aquarium. It is home to thousands of aquatic animals, from the American Lobster to the Green Anaconda, African Penguin and Lionfish. Make sure you check out their new Olympic Coast Exhibit. It features the ginormous Pacific octopus. Home to one of the most diverse gatherings of freshwater animals in the entire country is the Tennessee Aquarium. Explore tons of amphibians, fish, birds, invertebrates, plants, mammals, butterflies and reptiles. Make sure you head to the River Journey building and explore the Appalachian Cove Forest; you will literally feel as if you are surrounded by an ancient forest in this exhibit.